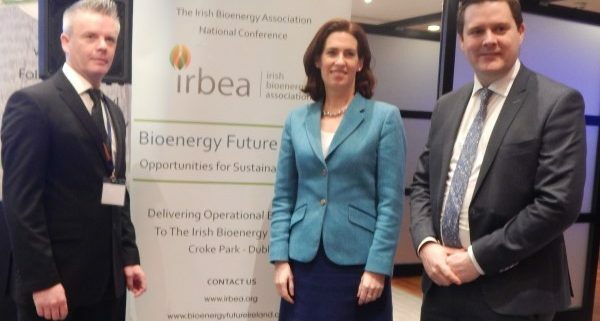 In October 2018 IrBEA received a grant offer from Sustainable Energy Authority Ireland (SEAI) to develop a Biomass Designers and Installers Register. 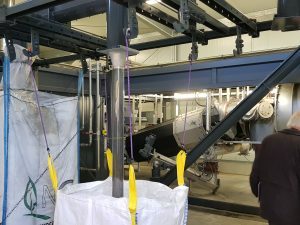 For a number of years, members have reported that some commercial biomass installations have not functioned correctly. This can be for a multitude of reasons including poor designs, incorrect installations or bad management of boilers. 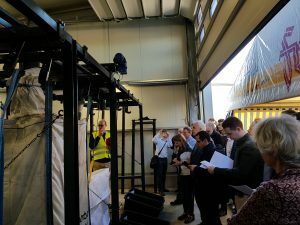 By creating a register of designers and installers who have demonstrated a level of experience, IrBEA feel this will help to professionalise the industry. 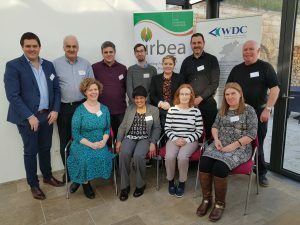 In late November, the IrBEA Management Committee recommended the creation of a sub-group of IrBEA members to start developing rules for this register and begin the project work. 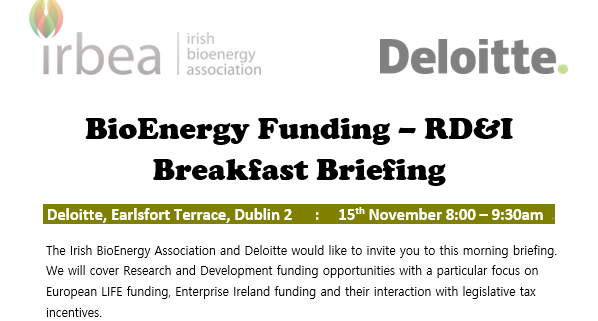 This sub-group has met twice to date and IrBEA members who are not currently involved are very welcome to join. 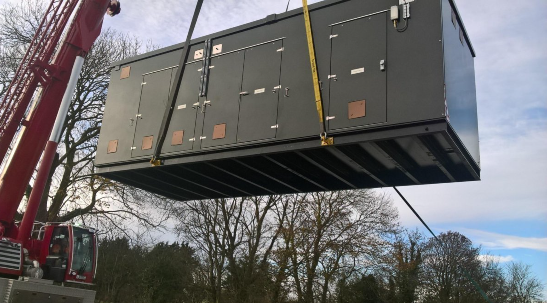 Installation of Ireland’s first Renewable Gas injection facility is underway this week with the Grid Injection Unit delivery from Thyson Technologies to the site at Cush, Co Kildare. 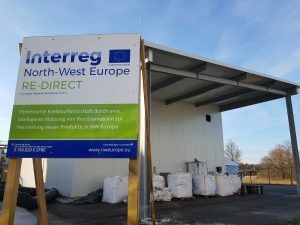 NRGE are the Project Team for this installation. 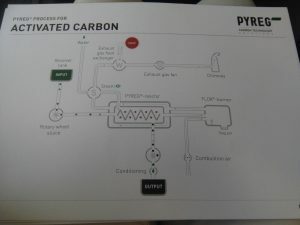 The installation will be capable of injecting 10 million M3 of renewable gas annually. 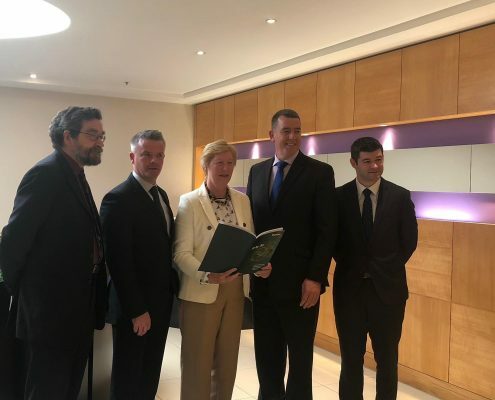 It is a small step on the road to meeting Ireland’s carbon reduction commitments. 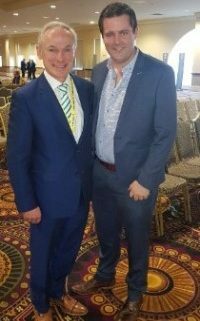 IrBEA CEO Seán Finan recently met informally with the Minister for Communications, Climate Action and Environment, Richard Bruton T.D. He briefed the Minister on the work of IrBEA and the urgent need to fully open the SSRH scheme. This informal meeting following a formal meeting on the SSRH scheme which took place recently between IrBEA and senior officials from the Heat policy division within the Department of Communication, Climate Action and Environment. 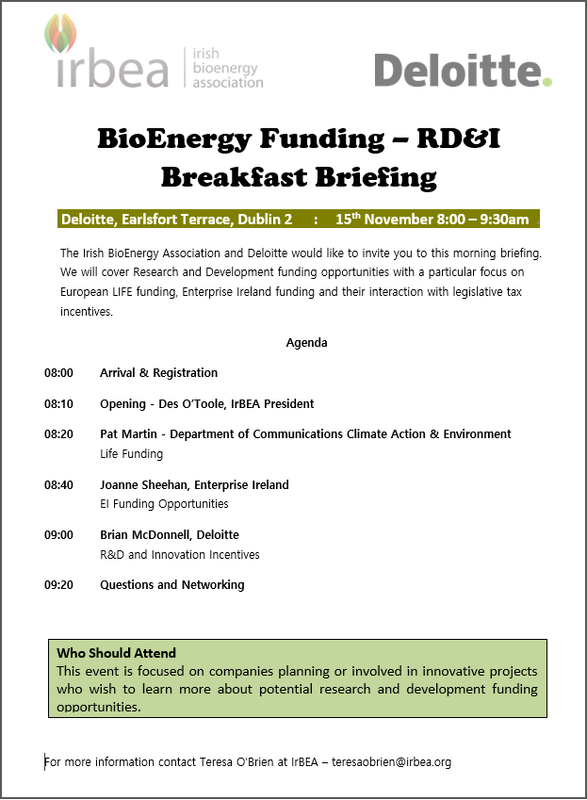 This meeting was attended by Sean Finan CEO, Des O’Toole President and Paddy Phelan Vice President. The Department confirmed at the meeting that they expect to open the full SSRH scheme by the end of the year. 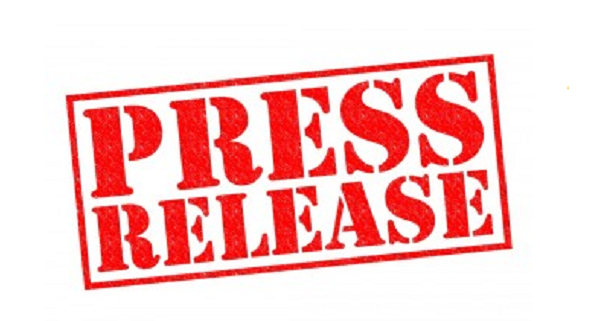 IrBEA continues to lobby at all levels for the full opening of the SSRH scheme.